Wilderness.net - Wilderness Library Image #2954: Hiker at sawtooth lake and mt. reagan. 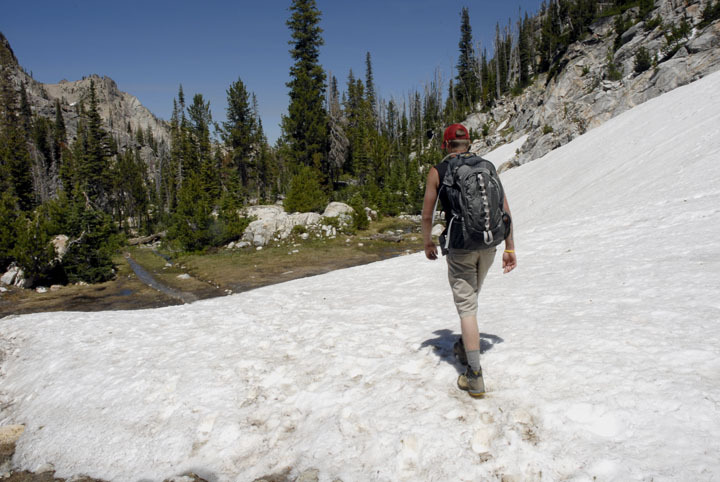 Description: Hiker at sawtooth lake and mt. reagan.